Marlborough is one of the sunniest places in the country. Whether you're here for the work or the wine we offer a welcoming, relaxing home away from home where guests can meet plenty of other keen travellers. We work closely with employers in viticulture, horticulture and local factories to help find you work. Helping with IRD numbers, Bank Accounts etc - all you need to get set up and earning! Duncannon is perfect for backpackers, RSE workers and vintage workers. 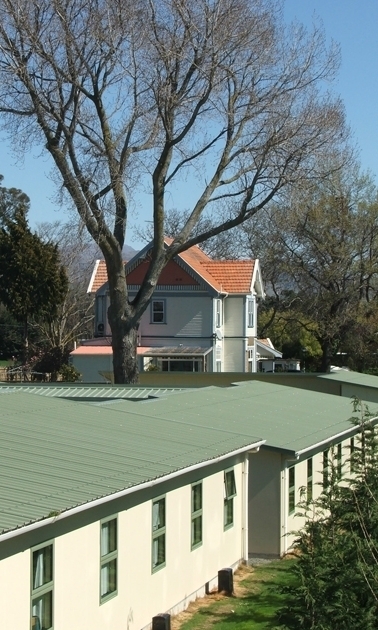 Set on 5 acres of land alongside the Opawa River, we offer a spacious and friendly environment for guests to reside. The property features 98 accommodation rooms, each with two beds and TV. We have large dining, laundry and ablution blocks as well as numerous recreation facilities including gym, pool tables, ping pong, soccer table, communal TV rooms and large recreational field - all free for Duncannon guests to enjoy. We work closely with employers in the viticulture and horticulture industries as well as local factories who maintain great reputations. We are located 1.5km from Blenheim CBD and to make getting to Duncannon easier, we offer free transfers to the Blenheim I-Site in the town centre. If required we can also co-ordinate work transport for a small fee.